Image galleries are the best way to showcase your pictures on your WordPress sites. WordPress bundles the Create Gallery feature by default in the media uploader which allows you to create a simple gallery. Note: Before adding a gallery, you must have images in your media library. Otherwise, you need to upload the images into the library and can proceed on gallery creation. 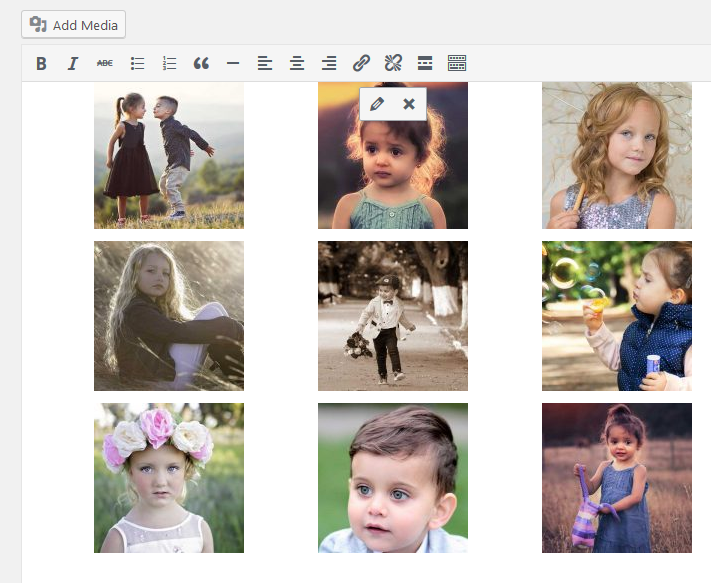 The Gallery feature allows you to add one or more image galleries to your posts and pages using a simple Shortcode. If you use the [gallery] shortcode without using the ids argument in your post or page, only images that are “attached” to that post or page will be displayed. //Note: 10, 205, 552 and 607 are the IDs of respected image. NOTE: find the proper IDs of the images for the gallery. Go to Media library and click on the respected image and ID will appear on the URL. ‘orderby’ specifies the order the thumbnails show up. The default order is ‘menu_order’. The Columns options specify the number of columns in the gallery. The default value is 3. If you want to increase the number of column in the galley, use the following shortcode. The IDs option on the gallery shortcode loads images with specific post IDs. If you want to display the attached image with the specific post ID, follow the following code example. // Note: remove each space between brackets and 'gallery' and brackets and `123"`. //Here "123" stands for the post IDs. If you want to display more than one IDs, separate the IDs by `comma(,)`. Size determines the image size to use for the thumbnail display. Valid values include “thumbnail”, “medium”, “large”, “full” and any other additional image size that was registered with add_image_size(). The default value is “thumbnail”. The size of the images for “thumbnail”, “medium” and “large” can be configured in WordPress admin panel under Settings > Media. Some advanced options are also available on Gallery shortcodes. The name of the HTML tag used to enclose each item in the gallery. The default is “dl”. The name of the HTMLtag used to enclose each thumbnail icon in the gallery. The default is “dt”. The name of the HTML tag used to enclose each caption. The default is “dd”. You are allowed to change the defaults. Include allows you to insert an “array” of comma separated attachment IDs to show only the images from these attachments. Exclude callows you to insert an “array” of comma separated attachment IDs to not show the images from these attachments. Please note that include and exclude cannot be used together.